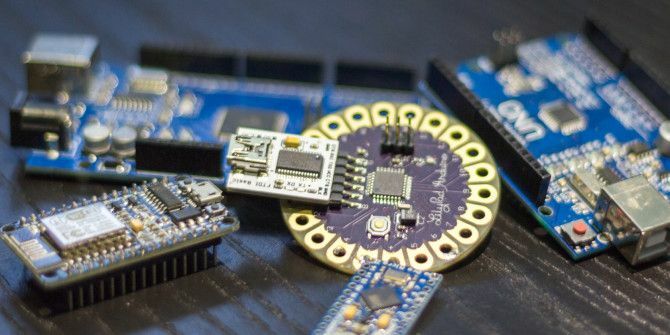 There are so many different kinds of Arduino boards out there, you’d be forgiven for being confused. Which should you buy? Which is more suited to your project? 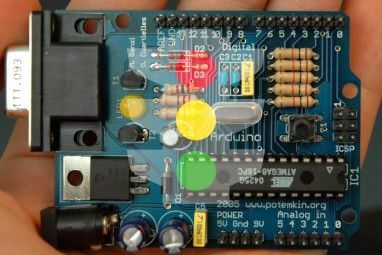 Let us help, with this Arduino buying guide for beginners! There are literally hundreds of different kinds of Arduino and Arduino-compatible boards out there, so we couldn’t possibly cover them all. What we can do though, is talk about the most common, the most useful, and the most widely supported. Before we begin, if all you’re looking for is a table of numbers, check out Sparkfun’s Arduino list. I’ll be tackling this from a different viewpoint: that of an Arduino beginner, looking for your first development board or after having graduated from your starter kit. A quick note before we begin. Prices are correct at the time of writing, and where possible, links are to AliExpress, where you can buy Arduino-compatible clones for a fraction of the price of branded Arduino models. It’s important to understand that these aren’t “cheap Chinese knock-offs”, at least not in any illegal sense. Most Arduino hardware is released under an open source license, which means anyone is free to build their own copies (and even add features not present in the original design) as long as they label it as “Arduino-compatible”, and not “Arduino” (which is trademarked). If you purchase an original, branded Arduino, a large portion of what you pay is donated to the Arduino foundation, which goes to fund educational outreach programs, and further development of the brand. The situation is made a little messier however by a recent trademark dispute in which the “original” Arduino LLC (the one that owns Arduino.cc and you’re probably most familiar with) may only use the trademark Arduino in America, and has been forced to rebrand as Genuino outside of the US. If you’re buying a branded Arduino in Europe then, chances are that you’re actually paying the money to Arduino SRL (Arduino.org), the Italian company originally known as Smart Projects, which used to exclusively handle the manufacturing side of the business. Like I said – it’s messy – and you’ll save yourself a lot of money if you just buy clones. With that out of the way – please don’t start a comment war on this – let’s get started. With clones costing less than $3, the Uno, while not the first Arduino board, remains the most popular. It’s also the model you’ll find included with most starter kits, and there’s a good reason for that. It’s the Uno that’s now the standard format for upgrade “shields”, which are boards that offer additional functionality The Top 4 Arduino Shields To Superpower Your Projects The Top 4 Arduino Shields To Superpower Your Projects You’ve bought an Arduino starter kit, you’ve followed all the basic guides, but now you’ve hit a stumbling block - you need more bits and bobs to realise your electronics dream. Luckily, if you have... Read More you can plug onto the top, and can often stack with each other. About the size of a credit card, it has 14 digital IO pins and 5 analog, and runs off 5v. It can be powered either by the USB cable or up to 12v DC via a barrel jack. At the heart of the Uno is the ATMEGA328P, with 32Kb of program memory, which is small by today’s standards. At some point you’ll probably hit that limit, but as a starter device to learn from, the Uno is perfect. Looking deceptively similar to the Uno is Leonardo, though the two are quite different. Although the Leonardo does have the advantage of being able to emulate a USB device so you can make your own keyboard for instance, it also has a number of quirks and isn’t compatible with all Arduino shields. I’d advise that beginners stay away from the Leonardo: you’ll just find something isn’t quite right with your code, and when you go in search of help, you might not find the solution. If you do want the ability to present as a USB device then you’ll probably want to grab a Pro Micro instead, which we’ll look at later. The Mega is the next logical step up from the Uno, and if you find yourself hitting that memory limit or indeed running out of IO, then you’ll want to grab a Mega. Although twice the price of an Uno at about $6 for a clone, the Mega has 256k of memory, along with a whopping 53 digital IO and 15 analog ports. Like the Uno, it runs at 5v and has a built-in USB port and DC power converter, so it’s really just useful when the Uno isn’t big enough. The Mega is also compatible with most Arduino shields. With clones available for about $4 each, the Pro Micro is both physically tiny and has an onboard USB driver with the ability to become a USB HID (Human Input Device): this means you can make your own keyboard or game controller projects. It’s great for small projects, though this does leave you with a couple less IO pins to play with; a total of 18, some of which can be analog, and only 32Kb of memory. Unlike the Uno, it’s breadboard friendly, so you can solder some headers on and it’ll fit neatly into a breadboard. It comes in both 5v and 3.3v versions, so you can pick whichever is more appropriate for your project. There’s also a Pro Mini or Nano available in a similar tiny form factor, but they don’t have a built-in USB driver, and can’t emulate a USB device. I’m going to skip right over these because you’ll probably already know if you want one, and if not, you’re better off getting the Pro Micro given the tiny price difference. One reason you might want to look into a $2 Nano is if you’ve got your project finished and just want to stuff it into a tiny box and be done with it. This isn’t actually an Arduino, but it is Arduino-compatible with a small modification to your software. Available for as little as $5, I’ve previously called the Arduino-compatible NodeMCU development board “The Arduino Killer Meet the Arduino Killer: ESP8266 Meet the Arduino Killer: ESP8266 What if I told you a there's an Arduino-compatible dev board with built-in Wi-Fi for less than $10? Well, there is. Read More “. As well as a good amount of memory for your program (1Mb with v2, 4Mb with v3), NodeMCU includes built-in Wi-Fi functionality with the ESP8266 chip. With just a few lines of code, you can have an Internet-connected device. For this reason, it’s perfect for Internet of Things projects, such as cheap smart home sensors or a remote control. The only downside to working with NodeMCU is that it runs off 3.3v and the pins are not 5v tolerant, which means you’ll need either sensors designed specifically for that voltage, or a logic level shifter (which changes a 5v signal to a 3.3v one, and vice versa). By the time you’ve graduated from the Uno in your starter kit, this probably won’t be a concern for you. At about $4 each, the Lilypad is a bit of a weird one: a 5cm circular board, designed for wearable projects. Instead of pins, you get circuit pads ideal for sewing with conductive thread. The Lilypad uses the same processor as the Uno so it’s just as limited, with 14 digital IO pins and 5 analog, but is also 5v tolerant so should be compatible with any Uno project you find. Make sure you buy the Lilypad 328 version though, not the 168, and bear in mind you’ll also need to buy a separate USB FTDI breakout since it doesn’t include one. 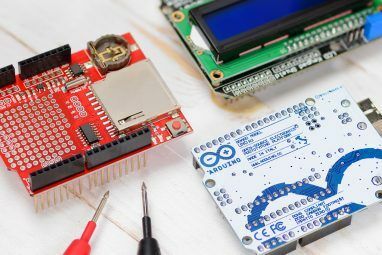 The various Atmel chips at the heart of the Arduino boards listed so far are what makes Arduino projects so portable – generally speaking, that project for Uno is going to work just fine on the Nano or the Lilypad. The same cannot be said of the non-Atmel based boards of late. The Yún is a curious hybrid that contains both an Atmel Atmega 32u as well as a full Linux stack, Bluetooth and Wi-Fi on a separate Atheros processor. These bear more resemblance to a Raspberry Pi, but with a whole lot less community support and a bigger price tag. The Yún is currently on sale for a cool $80. My advice: steer clear of these new boards. 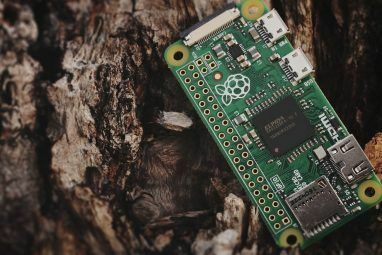 They’re simply overpriced for their intended IoT uses considering the competition from a $35 Pi (our Raspberry Pi Guide Raspberry Pi: The Unofficial Tutorial Raspberry Pi: The Unofficial Tutorial Whether you're a current Pi owner who wants to learn more or a potential owner of this credit-card size device, this isn't a guide you want to miss. Read More ), or even the NodeMCU board. Those are the boards that I think as a beginner just starting out or graduating from your starter kit you’ll probably be the most interested in. In most cases for simple prototyping, you’ll probably just want another Uno; or for bigger projects, a Mega. I still use Unos all the time just because they’re cheap and so easy to work with. If you’re ready to embed your finished project, consider a Nano. For anything involving emulating a USB keyboard or making a game controller, grab a Pro Micro. For wearables, you can prototype on a Uno and then switch to using a Lilypad once everything is ready. For Internet of Things devices I would strongly suggest the Arduino-compatible NodeMCU board instead of a “real” Arduino. Which Arduino will you use next? Can you think of any use cases I haven’t listed, or would you make a different recommendation? Let me know in the comments! I wanna make a wireless game controller so I'm wondering if I should get a Pro Micro and then add a Bluetooth or Wifi adapter if possible....or should I grab the Node MCU? Wow! Thank you ! This helps so much. I undertand arduiunos way better nowand know what to use! On top, I can even practice with the "exercices" given. Thanks for the very informative help. I am trying to build a RC boat which has 4 dc motors which need to be reversible using the RC transmitter. Can I use the arduino uno to send reverse voltage to control each motor? Nice and informative article. I want to purchase arduino uno, can anyone know the online website except Amazon, link or details? good article, straight to the points. Nice article! Gives a good overview of what goes around in the overwelming Arduino arena. I do think however that you mixed up the nano and the mini types. The nano has an integrated USB, the mini does not and requires an ftdi interface module to connect to the PC.